Lowly step-thrus are worth more than a Blackbird. I’m still staggered by what people are paying for Honda step-thrus. 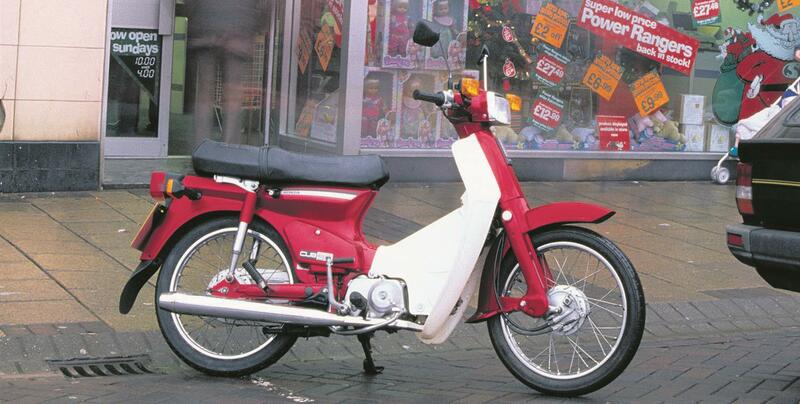 This week I watched an old brown C90, admittedly restored to a very high standard, fetch £1900. Nineteen hundred pounds. That’s the same as a really clean 1996 Triumph 1200 Daytona that also sold this week: a rare bike, worth salting away. Whatever happened to Voxan motorcycles? I just sold my little Yamaha V75. I’d toted it to two Kempton Park autojumbles, and innumerable people had cooed over it, but not one sod bought it, and it went on eBay for £459. That was me down £165 – but win some, lose some. It’s been a long time since I sold a bike at a loss, and I needed the space. Forget any other make of step-thru – it absolutely has to be a Honda to make decent money. Two grand is an interesting price point. It’s what decent 2002/03 Fireblades start at, and you can get immaculate early carbed Blackbirds as well. I’m laying out a shopping list of bikes to buy this winter and salt away until spring 2017, when new prices will have risen, and I’m seriously considering a Blade and/or a Bird, because I think these are going to appreciate – the Bird because nobody makes anything like it any more. Nice Kawasaki ZX-9Rs are also at two grand, but I don’t see these appreciating. There have been too many fast Kawasakis following them: ZX-10R, ZX-12R, ZZR1400... they’ve dropped off the radar, whereas a Fireblade is still a Fireblade. Honda's new 700cc naked: how good is it going to be?